Confession Tuesday - why am I doing this edition? It's been one new poetry book, and a week since my last confession. I confess that I am tired tonight and I'd rather not be confessing. Mostly because it's late and I'm tired. I've been glued for the most part to the primary election returns from five states. DEL, CONN, RI, MD, and PENN. I was hopeful that Hillary would sweep all five but figured we had four in the bag. RI was up in the air and in the end it was the only one of the five that Hillary lost. Not a bad night at all, and it really makes the math for Bernie Sanders really insurmountable. I was excited to get a new poetry book in the mail this week. "A Brief History of Time" by Shaindel Beers. Getting poetry in the mail is such a rush. I confess that it never grows old. We have a storm going on presently. The dogs are unnerved by it, especially Soles. In some ways we are really making progress with him, but I confess I wish I felt he was less impacted by anxiety. That's all for this week. May the muse be with you. 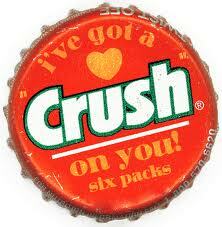 It’s been a week of writing and rewriting, but now it’s confessing time. On to the confessional. Reader, I confess that I am taking a break from writing tonight. I am planning to be immersed in the New York Democratic Primary returns. I’ve spent a lot of this during this past week cranking out material, much of it has some promise – with additional work, but tonight I put all that aside. My expectations for tonight are a Hillary win in New York. I anticipate her margin will be somewhere between a 9 and 14 point spread. Of course I can hope for more J I will follow the returns on MSNBC as the usually have the best coverage. I was invited to a party to watch the returns but I decided to pass on it and stay home. Press as a spark for my creative process. For a while I blogged elsewhere on this weekly but after over a year I stopped the blog. Sunday I pulled the T. S. Eliot card from the deck. Yes, Eliot, the key keeper of language is to be my guide this week. I don’t think of Eliot as being a prolific writer. Rather I consider him a rather picky craftsman. Kind of the was Elizabeth Bishop was – wanting “perfect poems” before they could be published. I confess that at times I become impatient with the process. Drawing this card reminds me of the value poets like Eliot and Bishop placed in patience. If I were looking for a characteristic that I could perhaps learn as a result of the King of Quills – Eliot tarot card it would perhaps be allowing myself more patience. This is not always easy. I confess that I am often driven in my anxiousness around my writing by the fact that I did not start writing until late in life and I always feel the clock of life ticking away. Until next time, may the Muse be with you…. It's been two readings since my last confession. First I drove to Lawrence, Kansas to hear Ada Limon, Adam Clay, and Michael Robins read on the KU campus. I admit It would have been simpler if they had been in Kansas City, but sometimes you just have to go where good poetry is. I mostly went to hear Ada. I first became aware of here sometime back from a podcast done on NPR and I hear her poem Sharks are in the River. More recently Ada published her book Bright Dead Things. The title pulled me into it like a magnet and I got a signed copy from her before it was shortlisted for a National Book Award for Poetry. I am not surprised that it received such acclaim as it is very deserving. I must confess that the reading had the bonus of introducing me to two other very outstanding poets. Both Adam Clay and Michael Robins resonated well with me. The three poets took turns reading a poem each and usually selected something to read riffing of the poet before. I didn't think I would like this method at first but it added an interesting dimension as each looked for a poem in response to the one read before. I was indeed fortunate to attend this reading and the drive was well worth it. 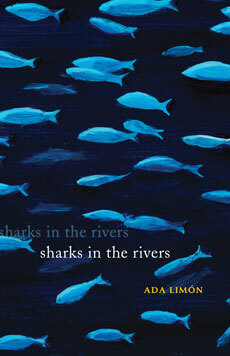 In addition, I picked up a copy of Ada's earlier book, Sharks are in the River. Sunday afternoon, I attended a reading of some of the poets with work in the 10th Anniversary issue of Kansas City Metro Verse's anthology. The even was very nicely put together and everyone seemed to enjoy the event. Until next time, the Muse be with you!